West Papuan refugees have finally been allocated some unused land for resettlement in Papua New Guinea’s capital Port Moresby. After their immigration from Indonesia, the refugees did not enjoy the full citizenship rights for years and often faced eviction. 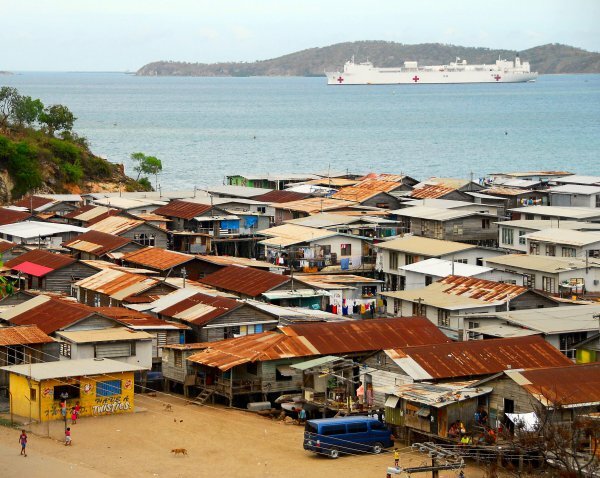 Therefore, this allocation of a part of Port Moresby was seen as an important improvement for them. The governor of Port Moresby, Mr Powes Parkop, said that the refugees have already started cleaning up the area and reinforced his hope that the area will eventually become a West Papuan City. Many West Papuans fled into PNG in the 1980s to escape persecution and military attacks in their homeland after it became part of Indonesia. Most of them live without full citizenship rights and have often been evicted from different parts of PNG over the past few decades, unable to access land or services available to Papua New Guineans. An allocation of about 10 hectares of unused land north east of Port Moresby's CBD at Red Hills in the suburb of Gerehu represents a breakthrough for them. Arnold Amba is a technical officer with the West Papuan Relief Association and he says the refugee community's spirits have been lifted by the allocation. He says the community is already clearing the land and fund-raising for its development. ARNOLD AMBA: "People are very happy for that arrangement. So they make themselves to clean up the place and work together to make arrangements for resettle themselves." Registration of the land title has not actually been completed yet by the National Capital administration but its governor Powes Parkop says he has allowed the West Papuans to begin clearing the land because there has been some encroachment by squatters from different provinces of PNG. Governor Parkop says he hopes the area will become a special place for the West Papuan community. POWES PARKOP: " The concept is to not just provide a venue for refugees. We are going to build a West Papuan City. It is a cultural place for them an identity for them a place where they can celebrate themselves as West Papuans. Thinking about where they come from and what their future would be. This is the vision that I have." In order to realize that vision however the land needs to be developed, starting with the construction of basic road infrastructure and utilities. The coordinator of the Free West Papua PNG chapter, Fred Mambrasa, estimates about half a million Kina or about $US160,000 would be needed to achieve this and to put in proper boundary markers. He says the West Papua community will need additional assistance. FRED MAMBRASA: "I want the Papua New Guinea government to help us and build this land and try to help us West Papua in Port Moresby because West Papua Relief Association is trying to help some refugees in other provinces like Madang and Manus, Vanimo, Kiunga. That is why I am asking the government of Papua New Guinea to try and help us." Some 200 West Papuan families will be moving onto the land over the course of the next few months. It can't come soon enough for many of them who are once again facing eviction orders from the settlements in which they're currently residing.